Teasing today a design I am working on, a 500 format clone of the EMI TG12345 Channel Zener limiter. It comes from the mk2 mixing desk and is the same as the mastering version with a different output amplifier. Some may have notice a small star on the attack switch. 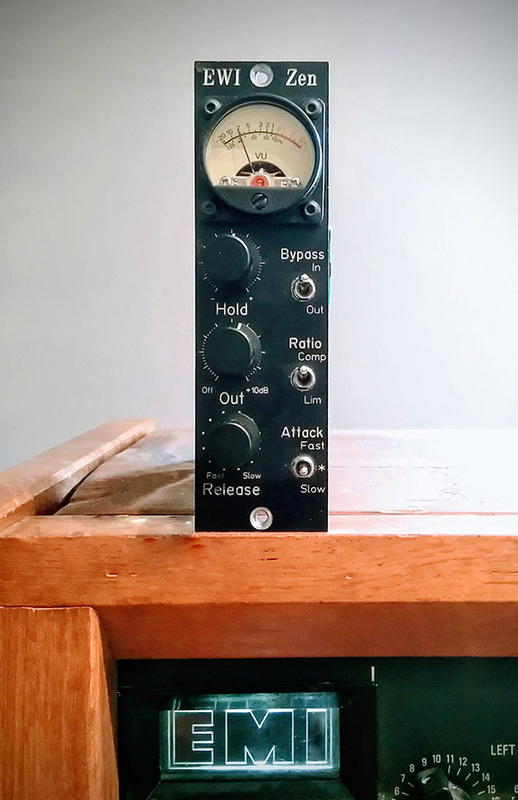 It is a sidechain mod that crush the audio far more effectively than the usual “disconnect the sidechain” feature. So it is identical to the original unit with added features and flexibility and fitting one slot of the convenient 500 format. Still a few details to refine but it is almost there. Any comment or suggestions are more than welcome.